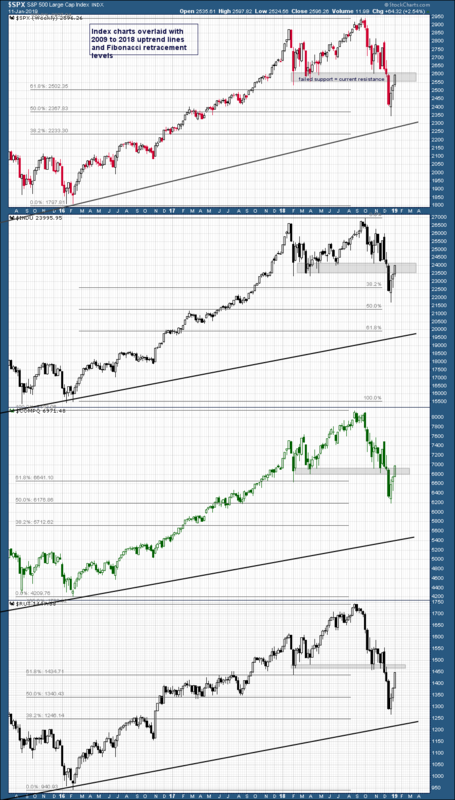 We have been watching the wide levels on the weekly index charts, levels which had been support early in the year. They reverted to resistance following the December drop. 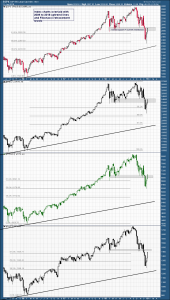 Last week the NASDAQ Composite closed above its resistance area, while the other major market indices were just below or testing those levels. The rebound in the indices off the December low was a sharp V-shaped move that recovered about half of the December decline. These recovery levels develop because long term investors realize they have recouped half their losses from the December high and are willing to sell, and short term traders who were able to jump on the rebound low are booking a quick profit. 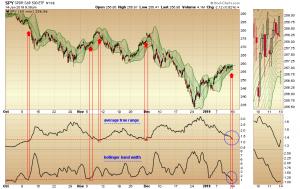 There are economic and psychological reasons that technical levels develop on stock charts. They are real-time reflections of investor sentiment. It is important when interpruting candlesticks and patterns to understand the dynamic underlying the price action. We tweeted out last week that Bollnger band width and average true range on the S&P 500 chart had contracted to a level that, in the past, had been followed by sharp moves in the index. There was no way at the time to know in which the direction the index might be headed, only that the move would be volatile. 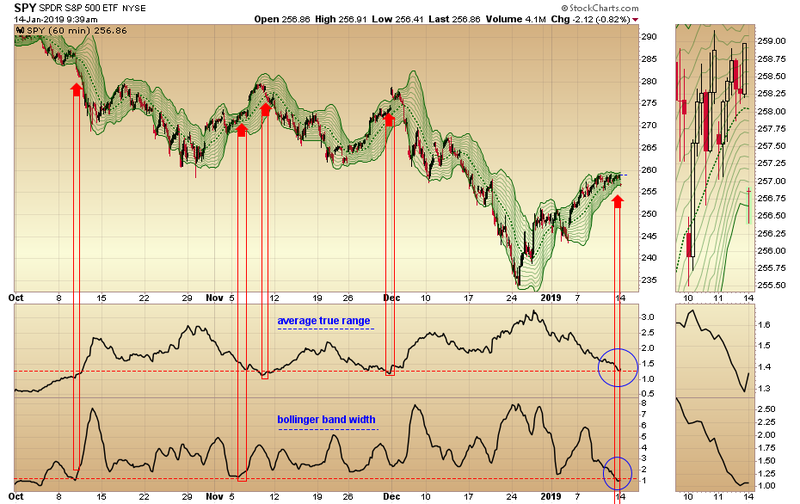 This morning the broader market opened sharply lower and this may be the start of several days of downside action. It also reaffirms that the weekly areas of prior support remain difficult resistance.